Once upon a very short time ago, one Parrot Head was without a phun phlock to go and “party with a purpose” with. She searched one harbor to another from shore to shore but no phlock was close to be found. She was in a new environment in a place that was beautiful, peaceful, with a big lake at her doorstep, yet no phlocks fluttering their pheathers. What’s a Parrot Head to do in this little piece of paradise with no phun way to give back, no group phun monthly socials or get togethers for things to do year-round for our community and environment. What’s a Parrot Head to do?? Parrot Head was invited to several phriends parties during the year and discovered that they all liked to have a good time as well as give back. Even though this little piece of paradise is small in size it has a big heart and loves to give back. At one particular party, she noticed that there was a lot of laid back, colorful, tropical décor located on the one side of the patio. Not only was the patio decked out tropical there was a large parrot dressed in tropical attire, hat on head with a feathered arm holding a tray( yes…it was Phizzy the Phunky Parrot). She felt at home for the first time in a long time and she knew that this was the right time to pursue her idea. After much research and talking to her dear phriend and Parrot Head Club President she left behind when she phletered her pheaters phuther south, she set up a meeting with her phriend with the tropical patio and parrot. Parrot Head met with phriend in June 2018 and explained what “Party with a Purpose” means. She asked her if she would be interested in starting a Parrot Head Club. 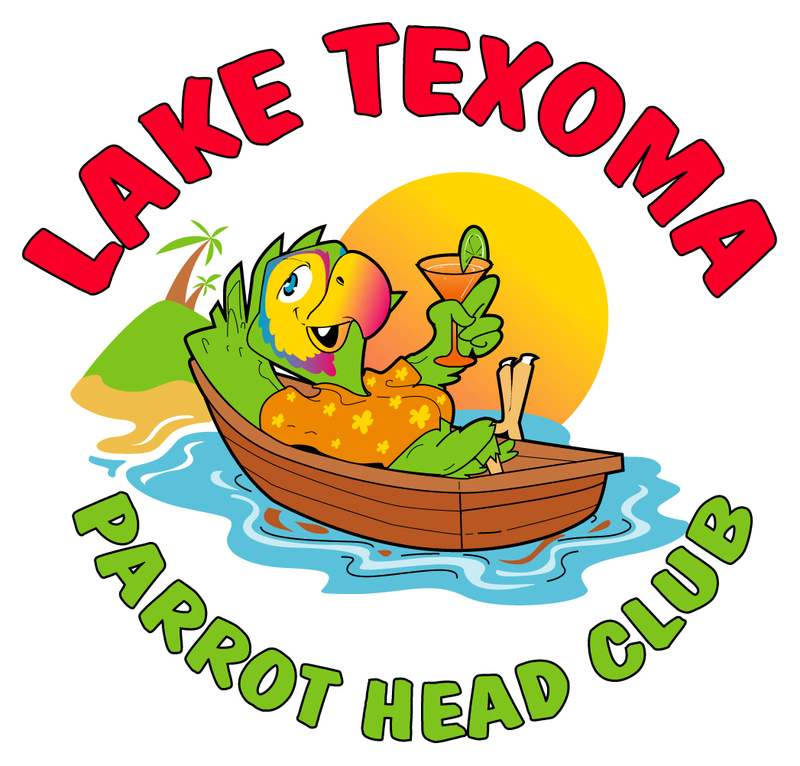 That day in June we became founders of the Lake Texoma Parrot Head Club and now the phun begins. As phounders, her new Parrot Head Phriend who knows a lot of people in the area (we all know it takes a phlock) and Parrot Head began getting the phuts and pholts in place. Phew!! Pheathers, pheathers, pheathers everywhere!! Calls were made, documents were obtained with the great help from Sue at PHIP. We put bylaws in place, secured local meeting places for monthly social meetings and the list goes on and on checking them off one at a time. New Parrot Head secured our President and Treasurer positions so now there is 4 Parrot Heads (actually 8 if you count the spouses) and we were phluttering our pheathers at greater speed. In July 2018 we had our first Monthly social which was a fantastic success with 35 new members that night. We received our state corporation certificate, became a PHIP Chapter Club 7-30-18 and a member of our local Pottsboro Chamber of Commerce. In August 2018 we gave our Elementary School 1st Grade Teachers supplies. Phins Up to our uniquely talented members and the community we all embrace. In two-months our membership has grown to 50 Parrot Head Members and 10 Keet Members and we continue to grow. Parrot Head and New Parrot Head dear phriends are so excited that they have a new found way to phlock and are phlocking their pheathers meeting new phriends in this little piece of paradise. Best of all Parrot Head is now “Partying with a Purpose” once again along with her new phound Parrot Head phriends who are phultering their pheathers in a new way the “Parrot Head Way”.